This shirt is much paler than the photo. My camera intensified the color. It is a slinky kind of shiny pale baby blue lightweight knit or Qiana polyester knit. The collar is quite large. 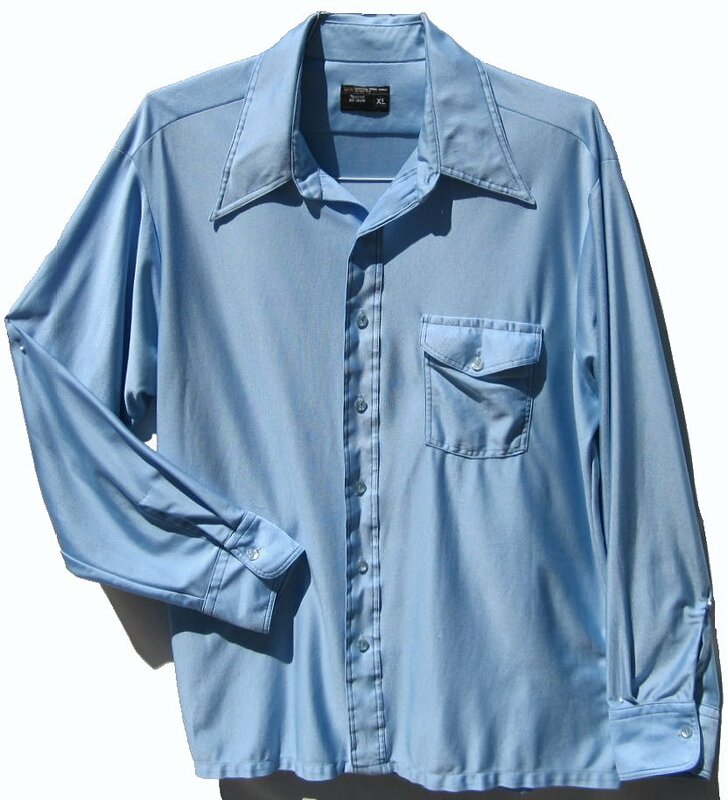 It is a used real vintage shirt in great condition. It is sized XL and it will fit a today's size 44 - 46 as it is 50" around at the armpit level. The neck is 17 1/2 or larger I suspect when worn open as pictured. The contrasting stitching is very dark navy blue. Shirt can be worn with white or black pants. Shirt has been hand washed.